As October begins, spooky vibes start to show here in Athens, GA. The University of Georgia was named one of the top 10 haunted college campuses according to College Candy. This may not come as a surprise since UGA is home to various Greek houses that have spooky histories. 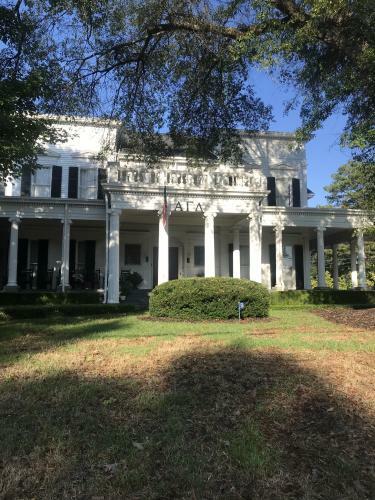 Alpha Gamma Delta&apos;s sorority house is said to be haunted by a sister named Susie Carithers who hung herself in the attic after being stood up on her wedding day. The Phi Mu house is also said to be haunted by the ghost of Hanna Hamilton who mourns her dead fiance, according to college candy. In a story from The Red & Black, Hanna Hamilton lived next door to the Phi Mu house and saw her fiance get murdered by a member of his own family. Hamilton eventually went crazy and continues to haunt the house. 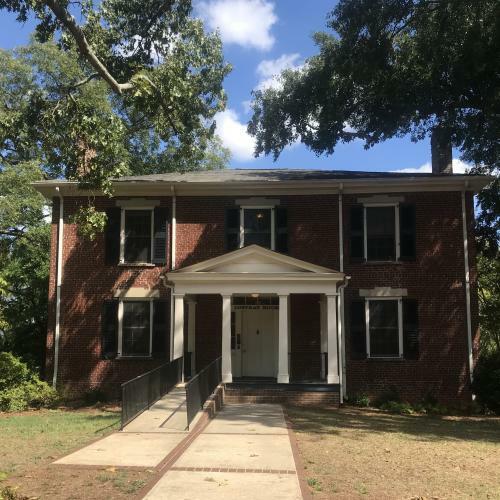 In addition to various haunted sorority houses that are haunted, according to an article by The Red & Black, the Sigma Phi Epsilon may be haunted by a previous owner. The owner of the house had a bad day and came home and drowned his daughter in the bathtub and then killed himself. The ghost of his daughter Tabitha supposedly haunts the house. Delta Tau Delta&apos;s fraternity house used to be the Kappa Delta house, there was said to be a girl who was upset about a recent break-up and so she went into the bathroom and hung herself. When Delta Tau Delta took over the house the bathroom was turned into a bedroom, but she still haunts the house to this day. 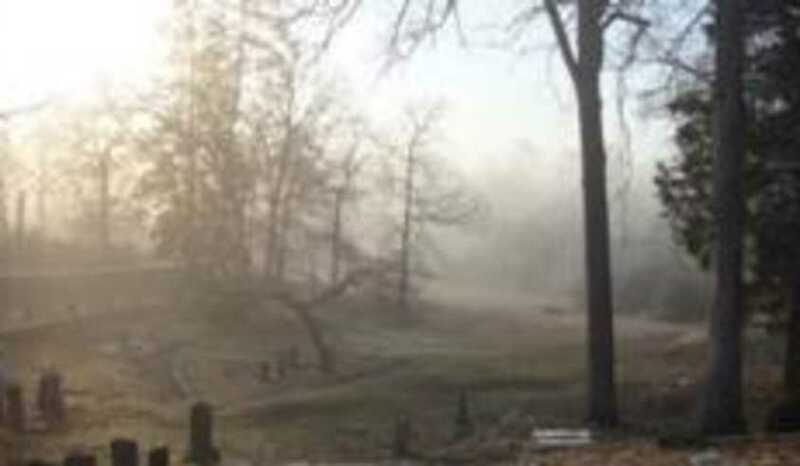 The Oconee Hill Cemetery has rumors of being haunted too. An article in The Red and Black from 1972 mentions a farmer who drunkenly drove his carriage off of a bridge. Legend has it that he drives the bridge near his grave under a full moon. 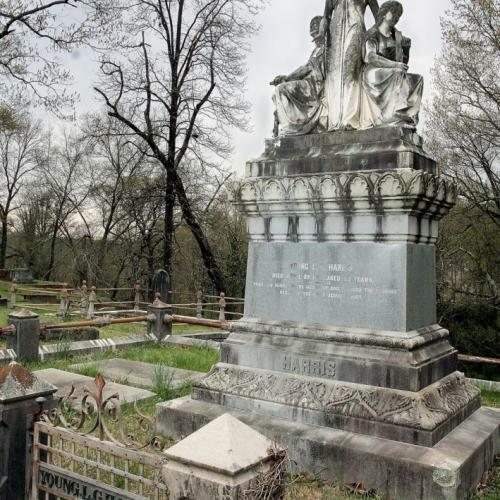 Old Athens Cemetery also referred to as The Jackson Street Cemetery is also rumored to be haunted. In the 1990s the cemetery was visited by a team of ghost hunters who found signs of paranormal activity. A popular rumor among students is that Joe Brown Hall is haunted. It was originally used as a dormitory in 1932. A boy committed suicide in his room over Christmas break and when everyone returned they smelled his decaying body.They were unable to get the smell out of the dorm so the wing was sealed off. It remains sealed off to this day. You can still walk up the staircase which leads to the sealed off area. The Lustrat House is also said to be haunted, according to an article by The Red and Black. 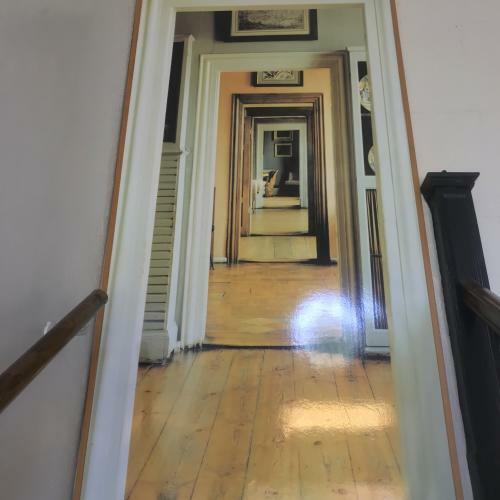 This house was used to house professors. Charles Morris was an English professor who was also a major in the Confederate Army. Professor Lustrat also lived in the house and when he died creepy things began to happen. People blamed Lustrat but it was later found that it was really Morris&apos; spirit that was returning to the house. It has been said that a gray mist forms into a Confederate Army Uniform and moves throughout the house. According to the Southern Spirit Guide, you can hear a tragic lovers quarrel in this building from 1821. During WWI, a man left his lover who fell for someone else in his absence. When he returned from the war he confronted his lover and the quarrel ended in a murder-suicide. Candler Hall was formerly a dorm. A 23-year-old senior named William Samuel Lloyd was living on the first floor of Candler Hall. After going to dinner with his roommate they returned to their dorm room and Willie picked up a loaded pistol and spun the pistol around on his finger while his finger was in the trigger guard. He was shot by the pistol in his lower abdomen and passed away in his dorm room. 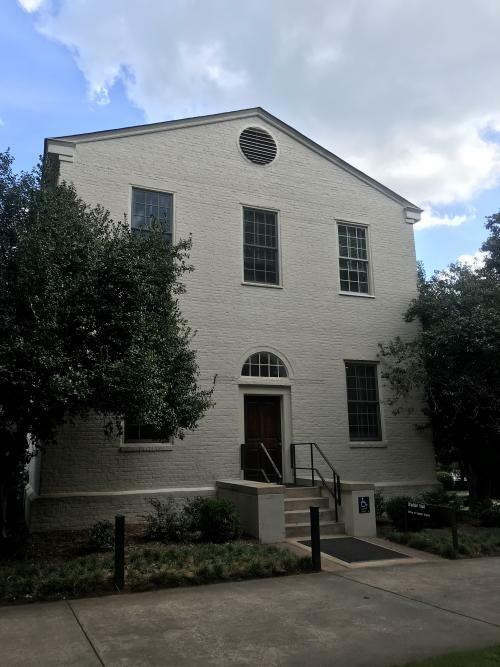 He was buried in his family&apos;s plot at Ebenezer United Methodist Church in Atlanta, but people say he never really left Candler Hall according to a post from the UGA School of Public and International Affairs. The University of Georgia&apos;s Student Alumni Association is hosting free ghost tours. The tours begin and end at the Arch in downtown Athens. 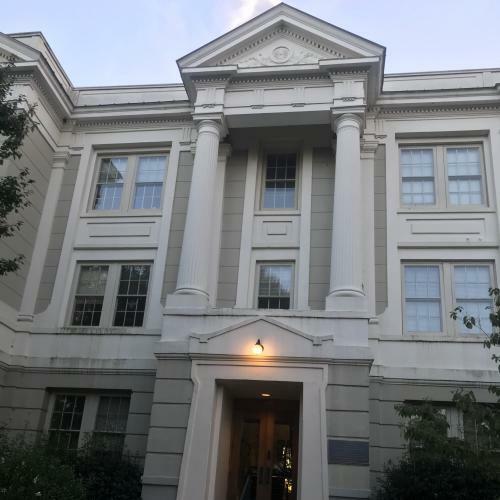 Stories during the tour include the history of buildings on campus to paranormal activities in some of the off-campus Greek life houses mentioned above. A canned food donation for the Northeast Georgia Food Bank is encouraged. Click here to plan for this event. A haunted trail located right outside of Athens, GA, Zombie Farms includes 15 unique horror sets on a 3/4 mile trail through dark and spooky woods. In addition to a spooky walk on the trail Zombie Farms also has a campfire area for marshmallow roasting and ghost stories! The haunted trail is great for a number of groups including families, parties and more. Find more information about this spooky trail here. The Athens Welcome Center and Classic City Tours will host their annual History and Hauntings tour. 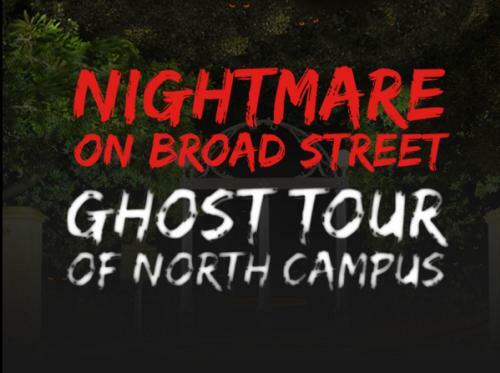 This tour includes a walk through downtown Athens and North Campus. 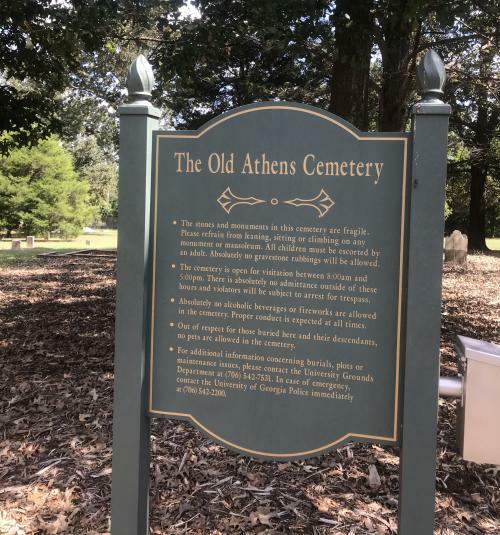 The tour reveals the backstories of various landmarks in Athens and talks about the different historic buildings that have ghost stories. Wear comfortable walking shoes and plan your tour here. 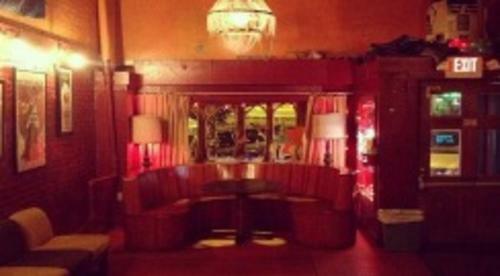 The month-long horror-movie marathon put on by Flicker Theatre and Bar is back every night of October. The 31 Days of Darkness features gross, hilarious and just plain terrifying movies. It&apos;s the perfect way to kick off the spooky season. For more ideas on how to spend this fall in Athens, GA, check out our Fall Festivals and Events page. Alli Coberth is a PR Major at UGA. She enjoys reading, hanging out with her dog, and being outside. 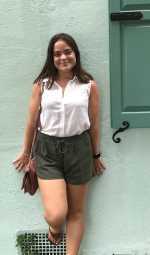 Alli is the VisitAthensGA.com Intern for Fall 2018. Stay in the Know! Join our Email list!